The Omaha Convention and Visitors Bureau (OCVB) has been awarded the prestigious 2009 Planners&apos; Choice Award by MeetingNews Magazine. The award honors excellence in the meeting industry and the Omaha Convention and Visitors Bureau was chosen as one of the best bureaus of the year. "This award showcases Omaha as a reputable convention destination and is a tribute to our national sales, service and marketing efforts," said Dana Markel, Executive Director of the Omaha Convention and Visitors Bureau. "The fact that the votes came from decision makers who can bring business to our city is a wonderful acknowledgment of the OCVB&apos;s work." More than 40,000 meeting and convention planners were asked to vote for their preferred organization based on quality of service and expertise. From a total of 141 nominees in the Convention and Visitor Bureau category, the OCVB was one of only 34 selected for the award which included both domestic and international Convention and Visitor Bureaus. 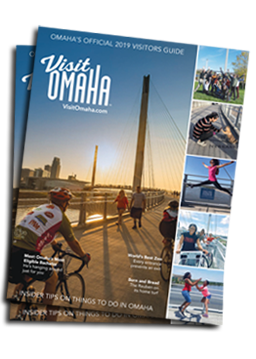 The Omaha Convention and Visitors Bureau will be recognized in the December 21, 2009 issue of MeetingNews Magazine which has a national circulation of approximately 40,000. Also attached please find a complete list of Planners&apos; Choice Award winners provided by MeetingNews Magazine.